Ford, the second-biggest seller of plug-in electric vehicles in the USA up to now has not invested in its EV platform from scratch, instead of buying in technology. Up to 2015 this strategy served the company well as its saved funds and learned from others mistakes, this strategy is however not a long-term solution as it falls further behind on the innovation curve. Forced to rethink its position on mobility and electric vehicles it committed to investing $4.5 billion in the technology by 2020. The funds will go towards developing 13 new electric vehicles, including a new generation of the Focus model with a range of 100miles plus. On the mobility front, the company is deploying some autonomous vehicles in the USA for testing purposes. The Company’s autonomous pilot car’s sport’s next-generation sensors from Velodyne. The company is also implementing other technology upgrades such as pairing its SYNC in-car platform with Amazon’s Echo and Alexa services and Wink home automation system. The Company is also expanding its GoDrive car sharing program. 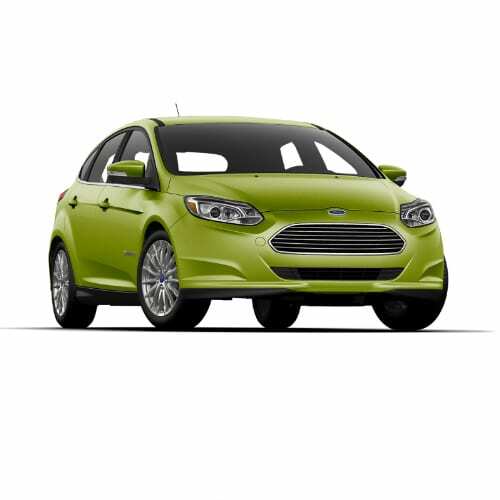 Interested in buying a Ford electric car? 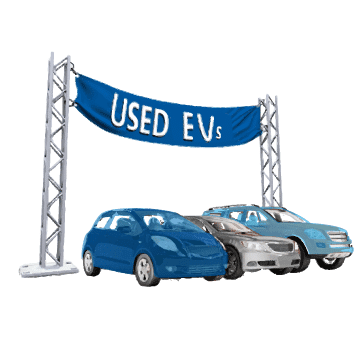 See how the price and range of Ford’s EV models compare with its competitors in key markets. Go to our detailed breakdown of Global EV Sales to see how the FORD electric car strategy fares to its competitors in the fast-growing EV market. 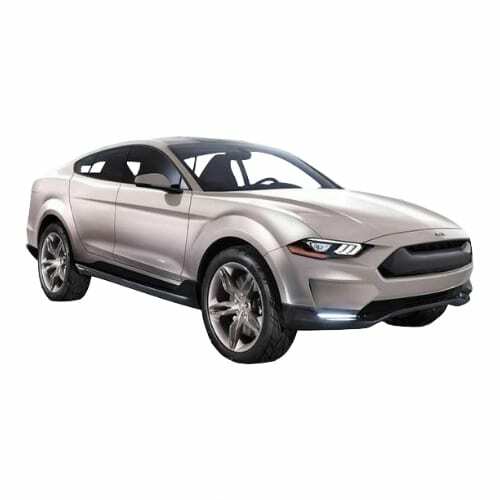 A niche portfolio of imported iconic nameplates for Europe that builds on the heritage of the Ford brand will include Mustang, Edge, and another SUV to be revealed in April, along with an all-new Mustang-inspired full-electric performance utility in 2020. 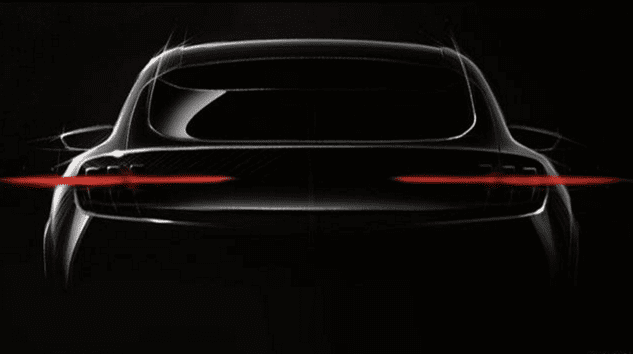 Not to be outdone this month by its competitors who unveiled a slew of EV models Ford teased its upcoming EV SUV through the first official release of an image of the vehicle. Ford and JMC are reportedly working on an entry-level crossover, the Ford Territory which will be available in three powertrains which include a plug-in hybrid version. Ford’s lack of a clear EV strategy in 2017 contributed to the company experiencing month on month sales declines this year as its competitors provided an ever-increasing amount of electrified options to consumers. 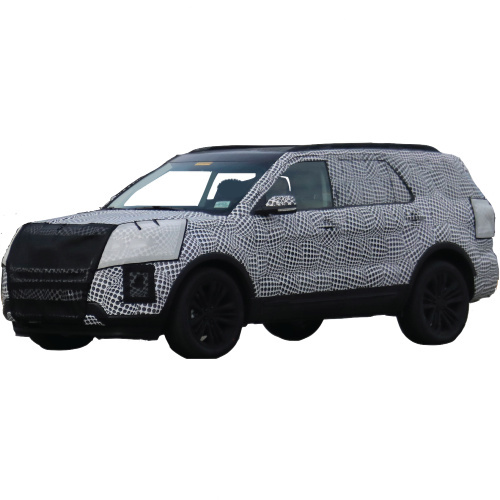 The Ford Territory will compete with EVs such as the BAIC EX series, Changan CS15, Yudo π 1 Pro, and Chery Tiggo 3xe. Ford creates Ford Autonomous Vehicle LLC, a standalone company for its self-driving efforts. The formation of the company is structured so that third-party partners could take a stake in the shareholding. Ford is to invest $4 billion over the next 5-years in its AV efforts which includes an investment of $1 billion in Argo AI, the Pittsburgh autonomous system developer. Sherif Marakby will move from his position as VP Autonomous Vehicles and Electrification to head up the new company based in Ford’s Corktown campus in Detroit. The USA automaker will keep its electrification program, Team Edison, in-house. Ford Autonomous Vehicle LLC will focus on aligning its self-driving and mobility efforts to faster develop businesses in the fast-changing auto sector. In related news, FORD seems to be victim number one of the escalating trade war between China and the USA. The automaker reported a sales drop of 26% YoY as its vehicle shipments are delayed in Chinese ports. 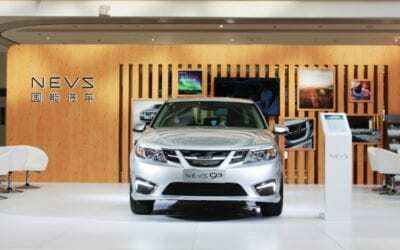 The 26% figure is across all of FORD’s JVs while Changan Ford reported the highest slide, 38%. Ford’s lack of electric vehicles can partly be attributed to the loss in market share as passenger sedan sales dropped on a month-on-month basis in China for the second consecutive month while EV sales continue to expand. 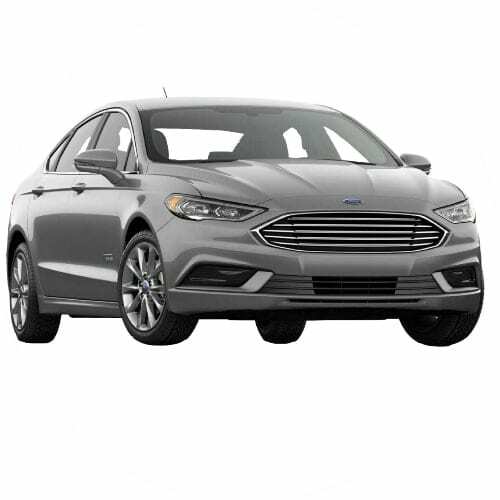 Last week Ford caused a minor stir when the company announced that it would stop producing passenger cars, except for the Focus and Mustang. 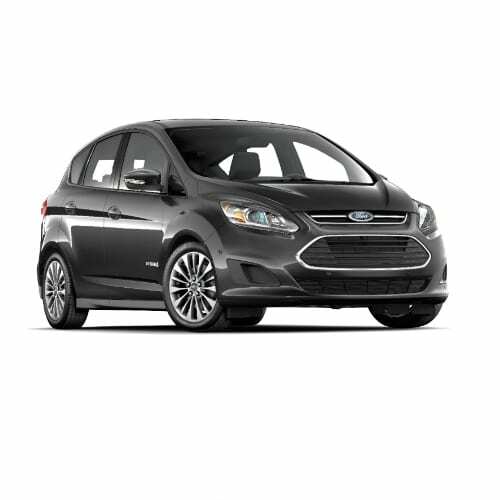 This means that the Ford C-Max Energi and Ford Fusion will be discontinued, although no specific timing has been given for the move. The strategy shift is part of the company’s realignment to focus on electric vehicles and the profitable SUV and Crossover segment. The automaker announced that it would shift one-third of its budget to electric vehicles. Part of Ford’s strategy to make up for lost ground is to create partnerships in China and India while also shifting to mobility solutions. This week Ford Smart Mobility LLC and Chinese automaker Zotye signed a Memorandum of Understanding (MOU) to establish a joint venture (JV) to provide smart, customized all-electric vehicle solutions to fleet operators and drivers in China’s fast-growing ride-hailing market. Many operators in China’s ride-hailing market are looking to expand their fleets with electric vehicles. 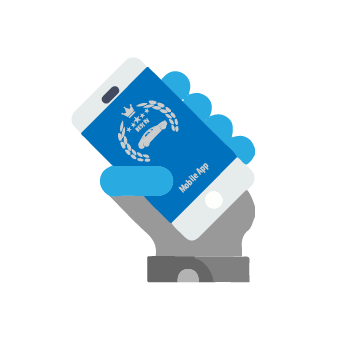 According to Boston Consulting Group, the local ‘e-hailing’ market is expected to grow by 19 percent annually through 2022, with an overall fleet size potentially reaching up to 26 million. 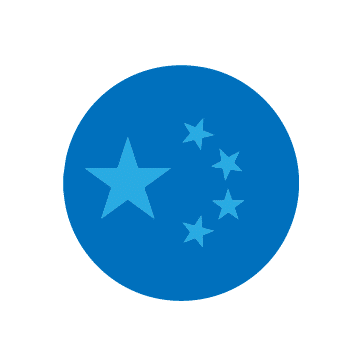 This week Didi, the largest ride-hailing company in China announced that it would up its use of EVs from the current 250,000 to 10 million EVs in 2028. As part of Ford’s commitment to building smart vehicles for a smart world, and to pave the way for a future of V2X and autonomous vehicles, the new JV will also engage with local governments and cities to support the development of integrated transportation solutions covering data connectivity and software systems to improve traffic flow, reduce congestion and enhance the commuter experience. Ford announced that it is bringing its 220 strong strategy, EV and autonomous units closer to home by relocating them from Dearborn to Detroit early next year. The teams will be housed together in a new 45,000 square feet complex in the historic Factory building. China is considering altering its subsidy plan with EVs with a range below 150km not qualifying for the EV incentive. It will be interesting to see how foreign companies such as Ford adapt their EV strategies according to the new ruling. Ford this week announced that it would release 15 EVs in China by 2025. Ford who only have one EV in China, the Changan Ford Mondeo Energi with a range of 22 miles, does already not qualify for the current threshold of 32 miles. FreshPatents.com reported that Ford Global Technology registered a patent for an off-road autonomous driving system. The United States Patent and Trademark Office (USTPO) has granted Ford a patent for an off-road autonomous driving system. This could be handy functionality while farming or hunting. I can see a hunter call his truck to get him at a location after the hunt (if there is cell connectivity). Accelerating the introduction of connected, smart vehicles and services customers want and value. By 2019, 100 percent of Ford’s new U.S. vehicles will be built with connectivity. The company has similarly aggressive plans for China and other markets, as 90 percent of Ford’s new global vehicles will feature connectivity by 2020. Rapidly improving fitness to lower costs, release capital and finance growth. Ford is attacking costs, reducing automotive cost growth by 50 percent through 2022. As part of this, the company is targeting $10 billion in incremental material cost reductions. The team also is reducing engineering costs by $4 billion from planned levels over the next five years by increasing use of common parts across its full line of vehicles, reducing order complexity and building fewer prototypes. Allocating capital where Ford can win the future. This starts with the company reallocating $7 billion of capital from cars to SUVs and trucks, including the Ranger and EcoSport in North America and the all-new Bronco globally. Ford also has plans to build the next-generation Focus for North America in China, saving capital investment and ongoing costs. Further, Ford is reducing internal combustion engine capital expenditures by one-third and redeploying that capital into electrification – on top of the previously announced $4.5 billion investment. Embracing partnerships. Ford will continue to leverage partnerships, remain active in M&A and collaborate to accelerate R&D. The company recently announced it was exploring a strategic alliance with Mahindra Group as it transforms its business in India, and Zoyte with the intention of developing a new line of low-cost all-electric passenger vehicles in China. When it comes to autonomous vehicle development, the company recently announced a relationship with Lyft to work toward commercialization and a collaboration with Domino’s Pizza to research the customer experience of delivery services. Expanding electric vehicle revenue opportunities. 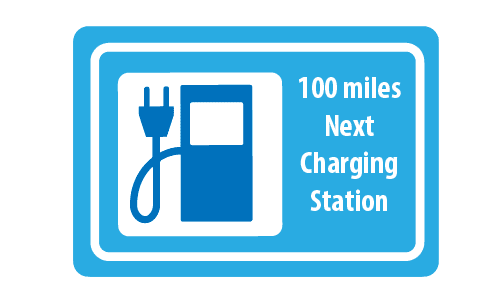 The company recently announced a dedicated electrification team within Ford, focused exclusively on creating an ecosystem of products and services for electric vehicles and the unique opportunities they provide. This builds on Ford’s earlier commitment to deliver 13 new electric vehicles in the next five years, including F-150 Hybrid, Mustang Hybrid, Transit Custom plug-in hybrid, an autonomous vehicle hybrid, Ford Police Responder Hybrid Sedan, and a fully electric small SUV. Ford announced that it will electrify all its Lincoln models by 2022 and also develop new all-electric models for its US marque brand. As the push for cleaner cities drives the EV revolution forward, we are seeing more and more electric delivery vans entering the marketplace. Gone are the days of an EV delivery van being associated with the defunct Azure Connect or the small Renault Twizy Cargo which hardly had enough space or range to cover the average daily distance for delivery vehicles of 65 miles. The past month has seen the introduction of production versions of the Daimler Fuso E-Cell and the new Renault Kangoo ZE. This week two more delivery vehicles made the front pages. Ford and Deutsche Post subsidiary, Street Scooter, this week introduced its first jointly produced E-Van, the StreetScooter Work XL in Cologne. 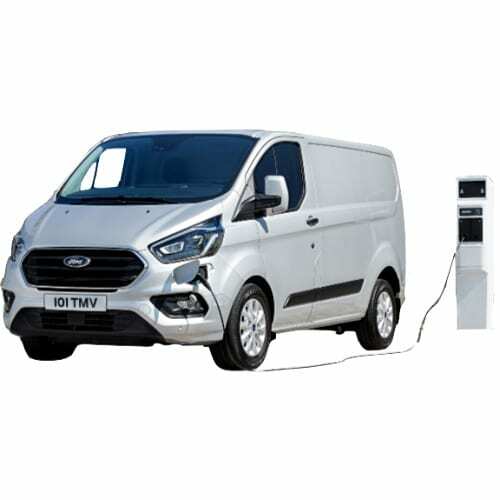 The Work XL is based on the Ford Transit Van and has a load capacity of 20 cubic meters, a modular battery system that could be sized from 30kWh to 90kWh for a range of between 80km and 200km. The 22kW onboard charger allows for an average charging time of three hours. Each WORK XL could save around five tonnes of CO2 and 1,900 liters of diesel fuel each year. StreetScooter will assemble around 150 units by the end of 2017 at its Aachen plant and ramp up to 2,500 units by the end of 2018. The Deutsche Post DHL Group is the largest operator of electric vehicles in Germany with a fleet of 3,000 StreetScooter Work and Work L vans and 10,500 pedelecs. In the same week where Ford was dethroned by GM as the USAs number two automaker, due to Tesla taking the top spot, the company released a new electric vehicle strategy for its Chinese operations. Ford, suffering from a shareholder revolt due to its lack of a convincing electric vehicle strategy and declining sales on Thursday announced that it targets 70% contribution from EV’s of its Chinese auto sales by 2025. The first phase of the strategy will be to produce a PHEV early 2018 together with its Chinese partner, Changan, also known as Chana. 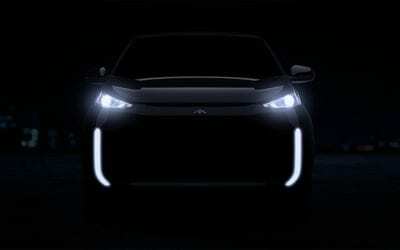 The company aims to have a small electric SUV within the next five years, capable of a battery electric range of 280 miles / 450km. The company still lacks a proper global electric vehicle strategy, and the current attempt is too little and too late. February Electric Vehicle sales data released for the USA this week reveals some interesting talking points. Overall, February sales gained a further 13.4% in January 2017 and over 55% on year on year basis. Contributors to the increase came from a nearly doubling in sales of the Tesla Model S and continued demand for the new Toyota Prius Plus. Unfortunately, the Prius in our books hardly counts as an electric vehicle due to its underwhelming continued reliance on its combustion engine. Disappointingly, sales for the Chevrolet Bolt declined over 18% from January, bringing total sales for the four months to 3,272 units, far short if one takes that at a claimed 30,000 units per annum the Bolt should have sold 10,000 units during the four months. In the car maker standings, GM retained its lead with 2,776 units over Tesla’s 2,550 units with Ford taking third place with 1,704 units. Ford’s electric vehicle program announced this week, although sounding impressive, falls short of delivering a punch for the sector. 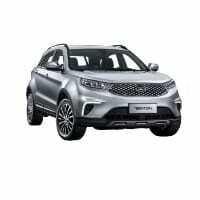 The company unveiled seven electrified models to reach the market in the next five years with a further six to follow. The automaker will also invest $700 million in upgrading their Michigan plant for electric and autonomous vehicle production, adding 700 direct new jobs. The press release clearly aims to impress President Donald Trump as the company also scuttled plans for a $1.6Bln plant in Mexico. The reason why we see Ford’s announcement as underwhelming is that the company is clearly just towing the line according to regulations since all the model’s bar one would be plug-in hybrid’s, a trend which has surely run its course. Die hard Ford enthusiast would be happy with PHEV versions of the Mustang, F-150, a hybrid autonomous model, two police vehicles and Transit Custom taxi/delivery van. The only Battery Electric Vehicle is a Small Utility with a range of 300 miles. This week Uber was forced to cancel its self-driving pilot in San Francisco, its hometown. Although regulators are in possession of footage showing an Uber pilot vehicle running a red light, barely missing a pedestrian, a claim the company contest that it was driver error and not the software, the ultimate decision was based on the company not following proper permitting procedures. Although the Californian DMV offered Uber assistance and a clear road to permitting the company and State could not agree on workable rules around Uber’s demand for its technology to be classified as SAE Level 3 automation. It is not the end of Uber’s efforts though as it is piloting retrofitted Volvo XC90 SUV’s and Ford Focus vehicles in Pittsburgh. 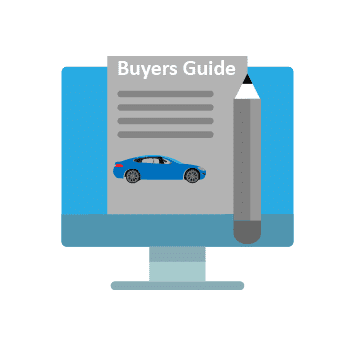 The financial blog, the Motley Fool reported earlier this month on a recent investor day by Ford on its Electric Vehicle strategy. The strategy essentially boils down to the company wanting to become a leader in the sector by bringing electric drivetrains for its most profitable and popular models, which would then allow its expertise to benefit the rest of its product range. The strategy will include plug-in versions for its SUV’s, Pick-ups and Crossovers. The company identified 2030 as the tipping point for electric vehicles leading over combustion vehicles. 2. The highly anticipated Paris Auto Show starts this week, and the event is expected to deliver some huge announcements for the electric vehicle market. We have reported earlier on Mercedes’s expected launch of an all-electric sub-brand, which includes the introduction of a plug-in pick-up, and BMW‘s executive not attending the event to trash out is electric vehicle strategy. Other brands to watch include VW‘s hyped-up mass market EV with a range of over 300miles expected in 2020, Porche’s new Panamera PHEV and Citroen‘s new Experience concept car. 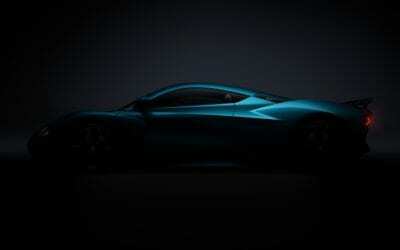 Various company’s such as Ford and Rolls Royce will not attend the smaller than usual event. Ford this week announced its plans to be a leader in the autonomous vehicle segment. The company aims to produce high volumes of autonomous vehicles for the car-sharing purposes by 2021. 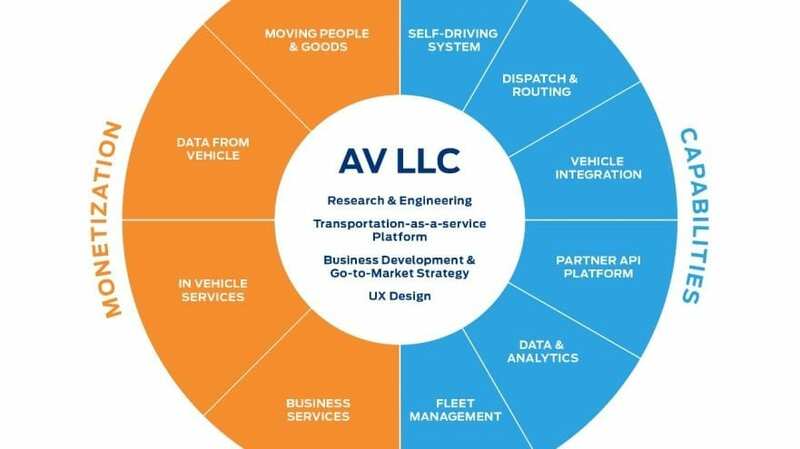 To enable the company to reach its goal it has partnered with four startups on autonomous vehicle development, and increased its Silicon Valley team two-fold and more than doubling its Palo Alto campus. Ford USA vetoed Ford India’s decision to participate in a consortium to facilitate the electric vehicle sector in the Indian market. The remaining consortium members, Maruti Suzuki, Mahindra, and Tata Motors now have to delay the launch of the project to create a supplier base for the sector. The reason cited by Ford USA is that it sees the project as not being financially viable.